Tyler Art Gallery's branch at SUNY Oswego in Syracuse will host a free public reception from 5:30 to 7:30 p.m. Thursday, March 30, for mixed-media artist Jason Cheney. An exhibition of Cheney's new work, titled "Internum Opera," is scheduled to run March 24 to May 26 at the gallery in the Metro Center, 2 Clinton Square, in Syracuse's Atrium building. Cheney, an adjunct instructor of art at SUNY Oswego and a master of fine arts candidate at Syracuse University, will display drawings that explore myth, fantasy, story and elaborate constructions of line, light and shadow. "My work is a mixed media combining the use of markers, tech pen and soft pastel pencils," Cheney said in an artist's statement. "I am influenced and rooted within the field of traditional illustration. The work uses elements of science fiction, fantasy and surrealism along with figurative subjects as a basis for the technical and conceptual foundation of its design." The artist said his work makes use of odd juxtapositions "to create subjects that blend and blur realities. Within the work exist themes of internal and personal explorations combined with mythic and spiritual ideas but also transformation." SUNY Oswego in Syracuse at the Metro Center is open 8 a.m. to 4:30 p.m. Mondays through Fridays. Night and weekend hours are variable; visitors should call 315-312-2321 for the schedule. Fantasy, surrealism -- SUNY Oswego in Syracuse will hold a reception for artist Jason Cheney from 5:30 to 7:30 p.m. Thursday, March 30, at the Tyler Art Gallery branch in the Metro Center, 2 Clinton Square. 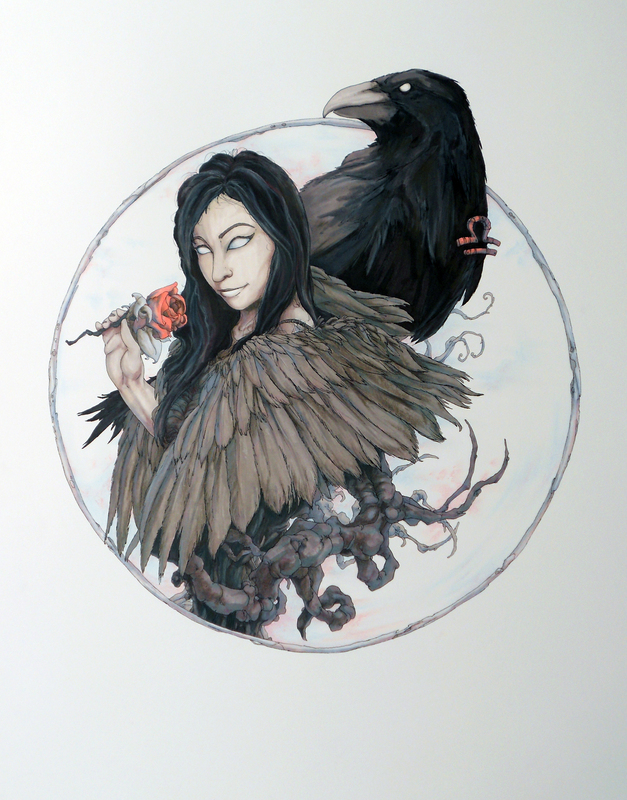 Cheney will display mixed-media drawings such as "Alis Volat Propriis" ("She Flies with Her Own Wings," pictured) that use odd juxtapositions and elements of science fiction to explore myth, fantasy and story.